to prevent cracking, unlike other displayport cases. time is about 3 days. With aluminum alloy shell and unibody structure, it's a long-lasting portable DisplayPort cable. 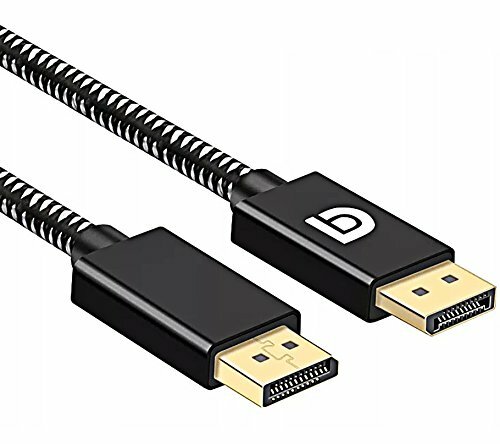 Quality nylon braided jacket with 15,000+ bend lifespan provides you with a heavy-duty DisplayPort cable.